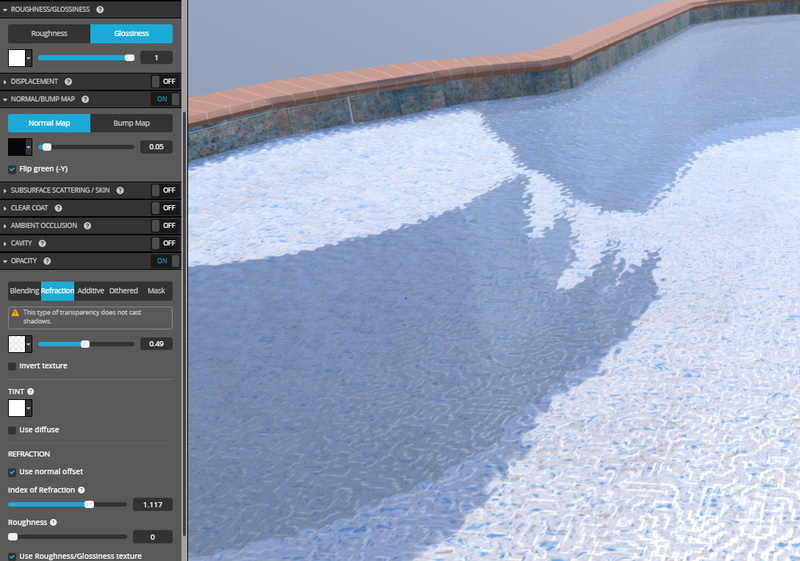 I have been attempting to produce water flowing in a pool and have followed Jacob’s tutorial to get nice looking water, but the “pool” materials are extremely limited. The model looks nice in Blender, but not so good in Sketchfab. Any fluid experts out there? Glossiness : Don’t hesitate to bump it to the max, water is maybe the glossiest thing you can have. Refraction: that’s basically what does the trick. play with the params and see what it does, You want to check the “use normal offset” in this case.